After nearly two decades of war, our U.S. Special Operations Forces are still at the tip of the spear, leading the fight in Afghanistan, Syria, Iraq, and countless other places every day. And yet, despite this, young people still flock to each of the service’s Special Operations units to attempt a Selection course to get in one of them. Unlike their conventional brethren who after completing basic and advanced individual training are sent to become, albeit, junior members of functional units. And while their training within their units will continue, they’re considered fully functional members. 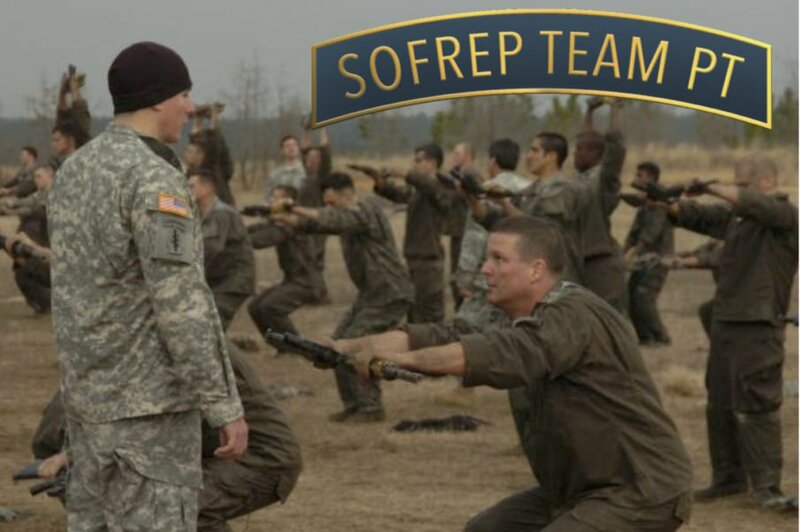 In the United States Special Operations Command (SOCOM), the troops have to go thru grueling Selection courses, designed to separate the weak from the strong and puts an inordinate amount of physical and mental stress on the candidates. The worthy will have to not endure the hardships but thrive and operate while under the most adverse conditions the cadre can throw at them. Each of the different services tailors their Selection and qualification courses around their own individual missions and what the unit has to accomplish. Special Forces Selection and Assessment is quite different than BUDS (Basic Underwater Demolition/SEAL). And the Ranger Assessment and Selection is different from either the Marine Corps Critical Skills Operator Selection or the Air Force’s Combat Control Operator Course. But where they all seem to find common ground is the physical hardness and preparation that each must not only meet the standards but exceed them. The never say quit attitude and the ability to function on their own without supervision are the hallmarks of each SOF trooper. When people picture a member of the military Special Operations community, they picture a burly, bearded badass with tats and every conceivable gadget included in their high-speed kit. But the gear and expensive toys doesn’t make SOF ‘special’. The people do. There used to be a poster for Special Forces back in the day that stated, “People don’t Join Us Because We’re Special, but Because They Are.” That is the truest statement I can think of. That’s why when the SOF units aren’t deployed on any given day in about 100 countries around the world they are constantly training, honing their craft. Their training and the intensity of it is what makes the units ‘special’ and not the kit they wear. When the Special Operations Command was in its first early stages, the Commander of the JFK Special Warfare Center, Major General David Baratto coined what he called “SOF Imperatives” to serve as the basic tenets to which Special Operations Forces should operate. Then, a no-SOF officer, LTC Collins wrote these and they became part of who were are. SOCOM adopted them and about 20 years later, they were rebranded as “SOF Truths”, but whatever they are called isn’t important. What is important is that they are the cornerstone for any operational unit and can be used in both the military and later into the civilian world. For aspiring SOF operators, these truths should become second nature. And the very first of the “SOF Truths” gets right to the crux of the matter. Special Operations troops make the equipment, not the other way around. The training and preparedness of the operator is the critical difference in mission success and failure. During Operation Just Cause and the aftermath in Panama, the soldiers of the 7th Infantry Division frequently had better equipment than most of the troops of the 7th Special Forces Group who were either stationed there. The best special operators, who are highly trained and working as a team, will always accomplish the mission with whatever equipment is available. However, the best equipment in the world cannot compensate for a lack of a trained force. And the rest of the SOF Truths fall right in line with #1. This one is especially true in Special Operations. A small, well-trained team is much more effective than a large under-or-untrained one. Numbers aren’t important in filling troop billets. But filling those with the right people, trained for the right job is the key. A quality force is a limited resource and is much more preferable, but on the flip side, they are very expensive to train and maintain. But the old adage, “you get what you pay for” rings very true when talking about quality SOF troops. Cookie cutter training produces cookies, not special operators. Slapping a beret on everyone’s head and calling them elite is an exercise in futility, not training a force. As the military has found out with their shake and bake units. Properly training Special Operations Forces troops and units take years to get them to the level of proficiency that will be needed to conduct the type of missions that these units will be tasked to perform. Then the joint integrated training within the community amongst the units takes even more time. The military learned their lessons the hard way thru trial and error. The Army was always trying to tinker with the Special Forces Qualification Course (SFQC), in an attempt to try to standardize the number of troops coming thru the pipeline. What they didn’t understand is that the standards never change, the quality of some classes coming thru would change but the instructors would keep the standards the same regardless if 40 percent of a class passed or 10 percent. When SFAS was first started, the classes were heavy with troops from the Ranger Regiment, the 82nd Airborne and some of the LRSU units. Those troops were very well prepared for the rigors of Selection. When the number of those candidates slowed after several classes, the troops attempting Selection weren’t as well prepped. The successful Selection rates plummeted. The standards didn’t change nor the way the cadre enforced them. Any attempt to shorten the process or quicken it to meet operational needs only serves to weaken the entire force as a whole. The remaining SOF Truths (Competent Special Operations Forces cannot be created after emergencies occur. Most Special Operations require non-SOF assistance) fall under the same basic premise that it is the people that are most important in SOF. If any of our potential candidates are successful in their quest and find themselves in a Special Operations unit, they will no doubt find themselves one day working with a local, host nation unit or militia force that will be woefully equipped according to U.S. standards. Their job will be to work with, the host nation forces to get the job done. Sometimes it will entail training the locals, other times, fighting alongside them. Often it will entail both. It takes a special type of warrior to accomplish those missions. The SOF of the US are a valuable resource that makes up less than 1 percent of the total force but are doing lion’s share of the fighting across the globe.